Studies repeatedly show that, in addition to improving individuals’ quality of life, support services facilitate connection and retention in care, are key to adherence, and reduce health-risk behavior. In turn, supportive services have been shown to improve health outcomes and reduce costs. PLHIV who are food insecure routinely forego critical medical care – including medical appointments, prescriptions, and other treatment, and are less likely to be virally suppressed (Aidala et al. (2011). For PLHIV, proper nutrition is required to increase medication absorption, reduce side effects, and maintain a healthy body weight (HRSA CAREAction March 2006, April 2004). The Ryan White Treatment and Modernization Act (originally the Comprehensive AIDS Resources Emergency (CARE) Act) was first enacted by Congress in 1990 and functions under the umbrella of the Human Resources Services Administration (HRSA) at HHS. Ryan White is the largest source of federal funding solely devoted to the provision of medical and support services for people living with HIV (PWH) and their families. Ryan White supports PWH at each stage of their illness, helping them to remain in care, take their medications and stay healthy. It has become the gold standard of comprehensive, holistic care for people living with severe and chronic disease, mostly because in the age of healthcare reform, Ryan White was the first program to recognize the vital role of structural interventions, like housing, transportation and especially access to nutritious food, as key determinants of health. The Food and Nutrition Services (FNS) category is an integral part of the Ryan White program. The program created through this category is now arguably the most robust FNS program in the country for people living with chronic illness. FNS agencies often provide both medical nutrition therapy and food and nutrition services together, and both services are considered integral to the category. Medical nutrition therapy covers nutritional diagnostic therapy and counseling services focused on prevention, delay or management of diseases and conditions, and involves an in-depth assessment, periodic reassessment and intervention provided by a licensed, Registered Dietitian Nutritionist (RDN) outside of a primary care visit. The range of FNS provided through the Ryan White program constitutes a full continuum of care. For those who are most mobile, there are congregate meals, walk-in food pantries and voucher programs. For those whose disease has progressed, home-delivered meals and home-delivered grocery bags complement their medical treatment. Nutrition education helps improve clients’ nutrition-related knowledge for a better understanding of the connection between taking their medication and eating healthy as they manage their illness. The only dedicated funding stream for FNS for PLHIV, the Ryan White HIV/AIDS Program (RWHAP), does not cover all those who seek FNS services, forcing many FNS agencies to institute waiting lists or reduce services. Even when individuals receive these low-cost and clinically effective interventions through RWHAP, they are often not enough, as many PLHIV remain food insecure. There remains a tremendous variation by state in coverage of food and nutrition outside of Ryan White. In states where RWHAP continues to pay for the majority of medical expenses for PLHIV due to a lack of Medicaid expansion, comprehensive coverage of FNS also remains far off. Medicaid and other public insurance do not provide FNS in a comprehensive way, as noted by HRSA in 2014 and 2015. And yet, while the NHAS Federal Action Plan laid out detailed plans for housing and employment, it did not even mention increasing access to food and nutrition services. The need for increased focus and investment in structural interventions comes at a time when ending the HIV/AIDS epidemic seems within reach. We know that biomedical treatment alone will not end the epidemic. We have a unique opportunity and responsibility to expand efforts to address the need for food and nutrition, leveraging the impact and cost-effectiveness of structural interventions in preventing, treating, and ending HIV/AIDS in the U.S.
We regularly collaborate with other national organizations to advocate for services for our clients. Karen Pearl, Co-Convener of FIMC, sits on the AIDS United Public Policy Committee. Alissa Wassung, Co-Convener of FIMC, co-chairs the Federal AIDS Policy Partnership Structural Interventions Working Group (SIWG). With the SIWG and the support of the National Minority AIDS Initiative, we co-sponsored the first ever Structural Interventions Track at the US Conference on AIDS (USCA) last year. The Track highlighted the importance of food and nutrition, housing, and employment to the health and wellbeing of PWH. 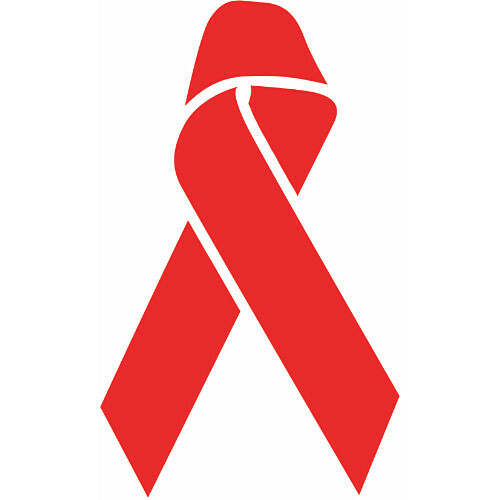 Through our USCA participation, we became vocal members of the Act Now: End AIDS Coalition – advocating for plans to end the epidemic nationwide. Given the strong research and practice evidence in support of the need and benefits of medically informed food and nutrition services, it is surprising that when the Patient Protection and Affordable Care Act (the ACA) was passed in 2010, it contained no comprehensive coverage of medically-tailored food for any severe disease population. From a policy perspective, the specific combination of a prescribed diet and the food that fulfills it is not integral to any program in either the Department of Agriculture (hunger-related issues) or the Department for Health and Human Services (healthcare issues). If a person has any other debilitating illness, from kidney disease to cardiovascular disease to cancer, there are only the agencies in FIMC to help them. This fact is particularly critical for persons between the ages of 18 and 60 who are ineligible for existing, though not medically tailored, food and meal program assistance designed for seniors and children. FIMC agencies raise the majority of their funds privately. Medicaid and private insurance provided through the exchanges do not provide the wrap-around social supports that help deliver lower healthcare costs and positive health outcomes for people living with critical illness. Medicaid does not cover immigrants (except in certain states). Furthermore, only a little more than half the states in the nation have opted to expand Medicaid, and much has been written on what that failure will mean for the health of the most vulnerable living in those states. If we are going to achieve a more coordinated national response to our quest to reduce healthcare spending and improve health outcomes nationwide, food and nutrition services must be included in all healthcare reform efforts. Through the ACA, much innovation was pushed to the states, which gave localities a chance to innovate and test interventions. FIMC agencies have made monumental progress on this front. In states around the country, we have participated and succeeded in partnerships through Medicaid 1115 Waivers, Medicaid 1915(c) Waivers, Delivery System Reform Incentive Payment (DSRIP) Programs, Accountable Care Organizations, Bundled Payment Pilots, Medicare and many others. For a detailed breakdown, please see our Research and Partners tabs. Opportunities exist to support the provision medically tailored food through policy vehicles such as the Farm Bill, Innovations Projects and state-based healthcare initiatives.